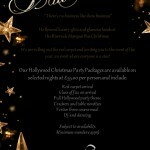 Christmas 2017 – Hollywood Christmas party packages now available! 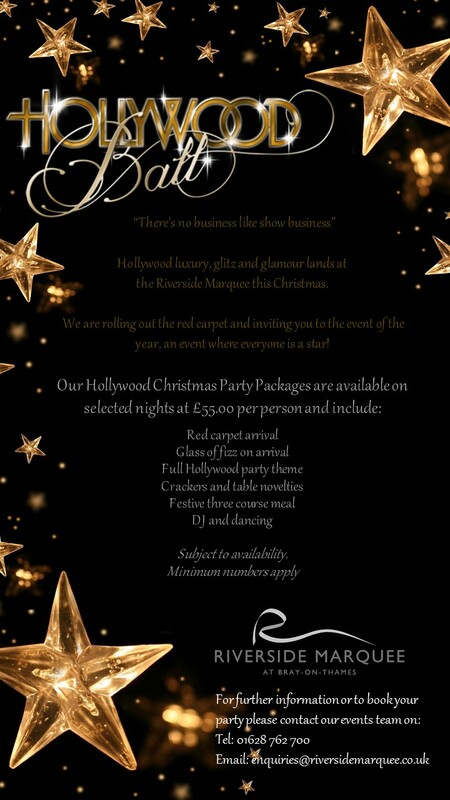 Hollywood luxury, glitz and glamour lands at the Riverside Marquee this Christmas. 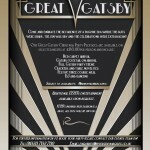 We are rolling out the red carpet and inviting you to the event of the year, an event where everyone is star! 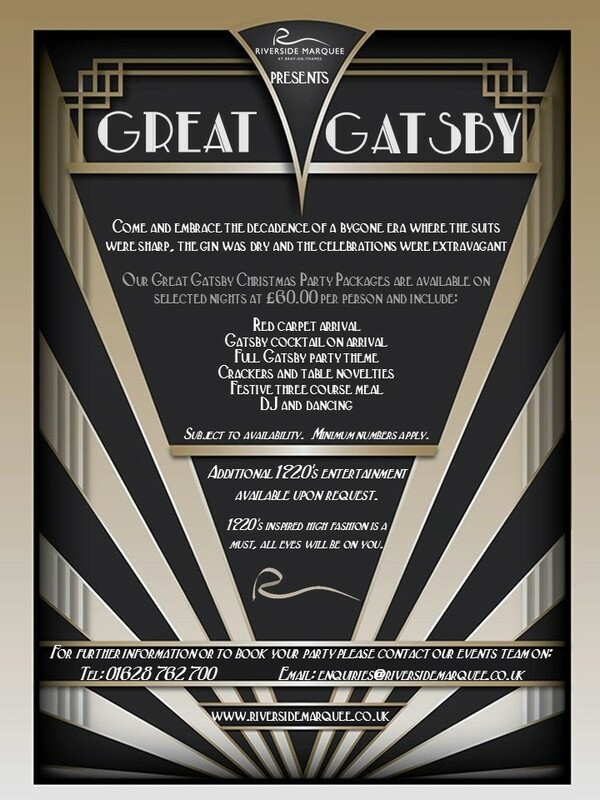 Riverside Marquee Gatsby Christmas 2016 – Come and embrace the decadence of a bygone era where the suits were sharp, the gin was dry and the celebrations were extravagant! Come and join us at the Riverside Marquee as we raise a stein or two to celebrate the famous German Folk Festival. 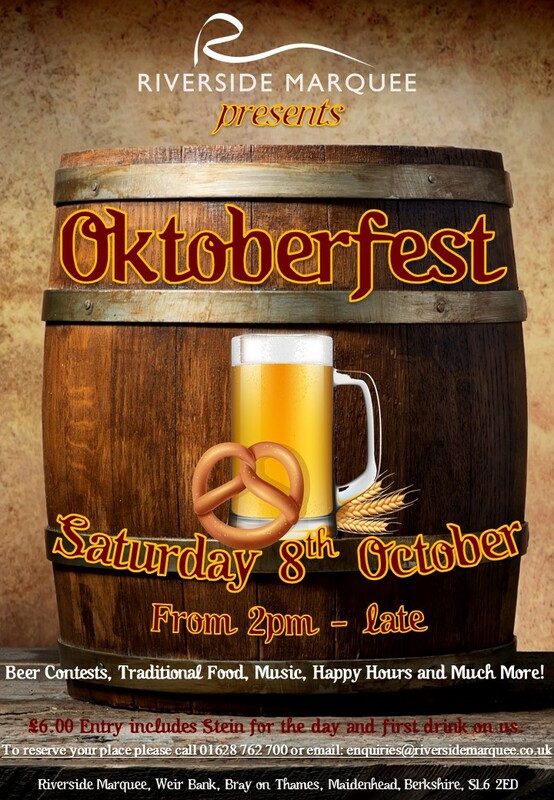 There will be plenty of beer, bratwurst and pretzels as well as some fun games and challenges. Of course there will be the traditional German oompah music as well. Entry is £6 per person and includes a stein for the afternoon which we will fill up for you on arrival. The bar will be fully open so if you’re not a fan of beer there will be plenty of other options. So why not grab your friends and get your self down to the Riverside Marquee and have a beer with us! We all look forward to parties. Those nights where we can forget about the stresses of work and just have a good time. 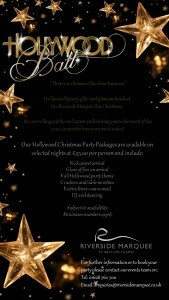 However the food and the entertainment do not just turn up at random, they need to be booked! This is where organisaiton comes into play. Planning a party makes sure that the good times keep on rolling. To take some stress out of planning a party, we have put together a small timeline to follow when putting together your perfect shindig. We can’t promise that it will help everything go off without a hitch, but we think it will help. 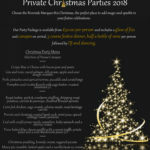 Book your venue – You can’t have a party without a venue! It is important to make sure that you understand the size of your venue compared to how many people you are thinking of inviting. Make sure you ask the venue organisers how many people it can fit, and their opening and closing times. Book in any help – You can’t do it all yourself! 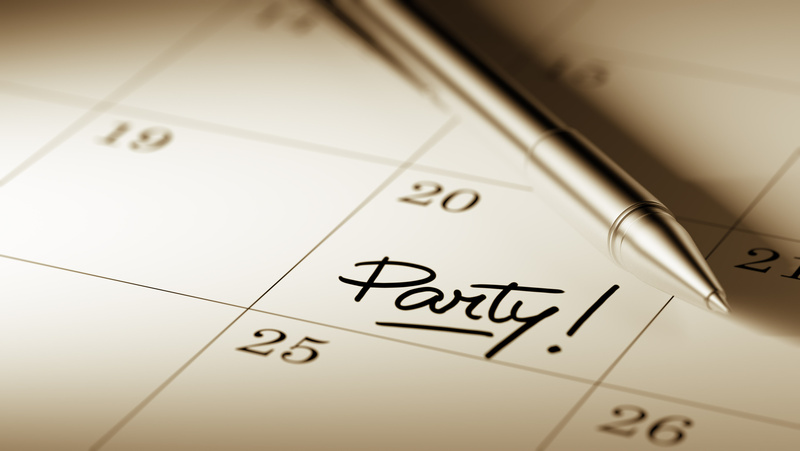 Ask for help from friends and family and make sure they have your party in their calander. You must also make sure that any catering companies or waiters or any paid help is booked with their respective companies. Book your entertainment – Book your entertainment when you have secured your venue. Two weeks until the party should be the minimum amount of time. Try to match your entertainment with the kind of party you wish to have, for instance if you are having a dinner party you dont want a rave DJ… unless you’re re-writing the rules of fine dining. 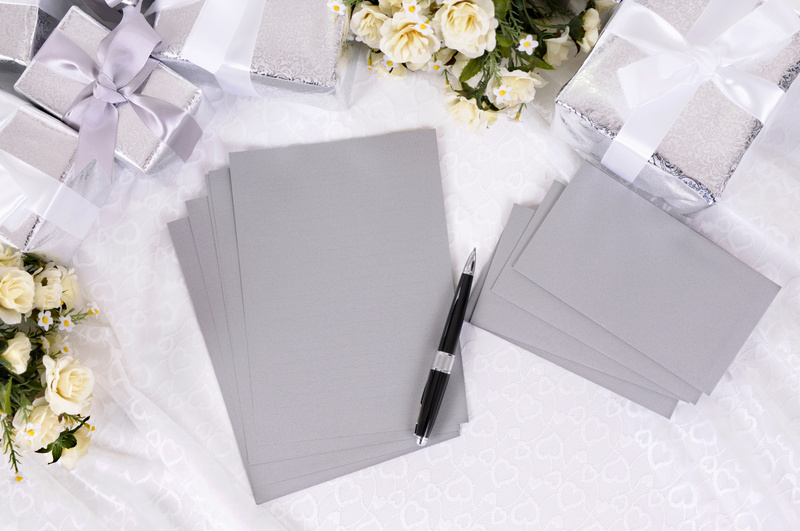 Make an invitation list – It’s not a party unless there are guests! Try to invite 20% more people than you can fit, because the chances are around 20%-30% will not be able to make it to your party. Pick a Menu – If you are having dinner served at your party, you should probably pick a menu. This menu can then be sent out with your invitations so that your guests can respond with their desired dish. Be wary of dietry choices, as well as allergies. Send your invitations – There are so many ways that you can send your invitations thanks to the innovations of technology! Despite the speed of e-mails, it is always nice to recieve a hand written invitation to RSVP too. Book any extras or props – If your party has a theme, you’re going to want to book some props to set the mood and atmosphere of your party. 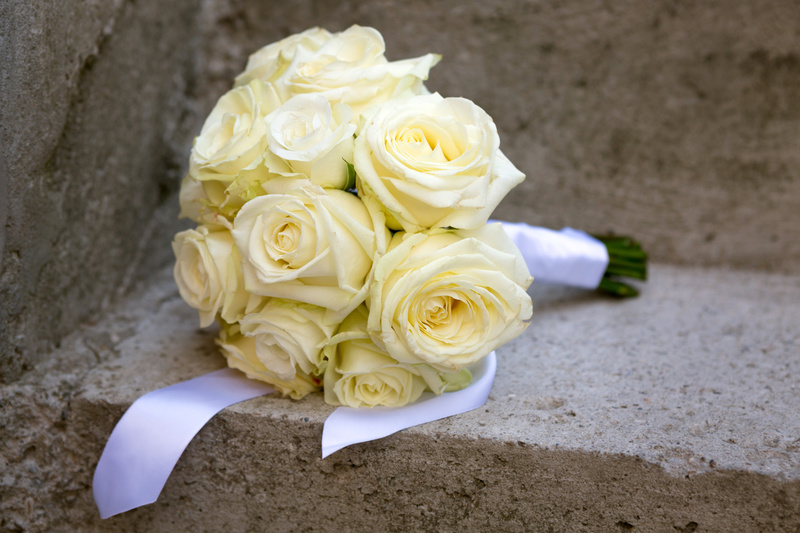 It is important to get the props booked as quickly as possible to ensure that they are available for your chosen date. Check the playlists your DJ/Entertainment has chosen – Doesn’t hurt to be sure. This will give you the ability to veto any songs that you really dont like/aren’t appropriate for the party. Double check your bookings – There is nothing wrong with checking your bookings, as there can be things that go wrong. By checking your bookings, you are actively ensuring that your party is on track. Create table plan – If you have seating at your party, you might want to create a table plan based off the responses to your invitations. Get to the venue early – It is always a good plan to get to your venue early to start preparations. Place name cards on tables based on table plan – Only necessary if you have seating. Check decorations – Make sure that all the props and decorations are placed how you want them to be. Get a clear time for when food will be being served – It is good to know when food will be being served so you can have a clear plan for the party. Greet guests – Greeting guests with a smiling face always sets a great tone for the party. Have fun! – This is your party! Make sure you enjoy it! Sometimes planning a party can be stressful, and you might need a little help. At the Riverside Marquee we have a party planner on hand to help you through every step to ensure that your party is a complete success! If you would like more information about how we can help you with your perfect party, then please feel free to give us a call on 01628 762700 or visit our enquiry page. Choosing the right kind of entertainment for a wedding can be quite a task. Catering for different tastes in music and ensuring everyone, from young to old, is going to find the entertainment entertaining can be a tricky balancing act. There is a debate over what form of wedding entertainment is better, the classic small band playing covers, or the DJ that can play more up to date music. However, why stick to the tried and tested classics when there are so many alternative entertainment options available that will help you make your wedding the most talked about event of the year. One of the best things about having a band play at your wedding is that the personalities of each band member come out in the performance. This infectious energy extends to the wedding guests encouraging even those not prone to dancing to get up and join in the fun on the dance floor. However, why stick to the the traditional choice of a covers band. If you want to add a bit of spice to your wedding, why not try a more exotic take on the live band? The drums of a salsa or samba band is sure to get everyone feeling the carnival spirit and grabbing a partner to get up and shake their stuff on the dance floor. 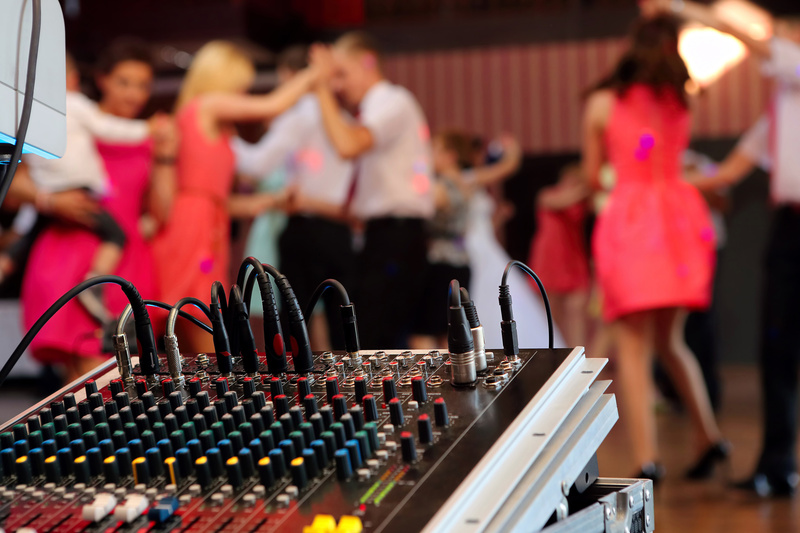 Having a DJ play at your wedding is the perfect inexpensive way to ensure that there is something for everyone. DJs can work in small spaces, so there’s no need to sacrifice space that could be used for extra table places or a larger dance floor. With a DJ you also have the opportunity to play a diverse range of music to suit all guests without the rest breaks that live musicians need. If you don’t think a DJ could mix the right songs, why not try your own hand at it? The iPod changed the wedding DJ game allowing people to be a DJ without all the kit that goes with it. 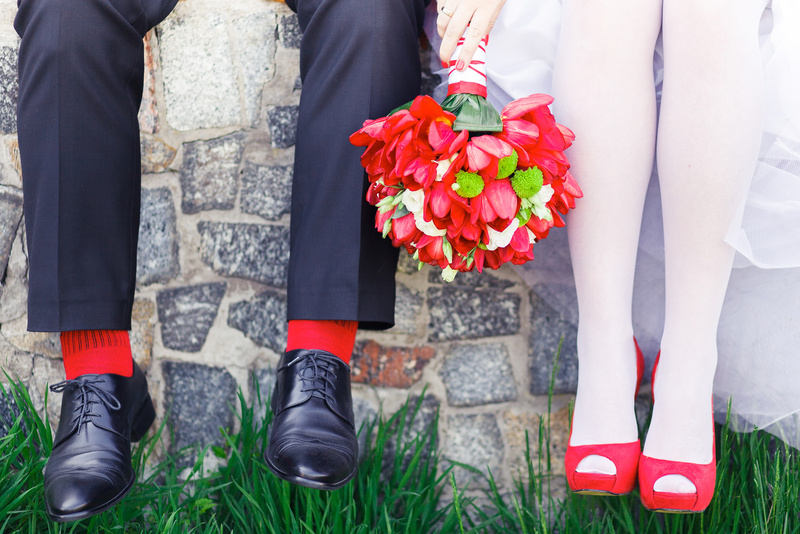 Creating your own wedding playlist could add that extra personal feeling to your wedding day. All the fun of a DJ without the noise! Issue those guests who want to dance with headphones where the DJ plays music directly into their ears. Entertaining not only for those dancing but for those guests sitting and watching as family and friends dance to tunes only they can hear. Perfect entertainment for venues where noise might be an issue, or when you wish to extend the party in the small hours without disturbing other guests. Create a wedding with a smile and hire an after-dinner comedian. This is a great way to allow guests to relax and digest their meal before hitting the dance floor later on in the evening. The happy couple were lucky enough to meet the partner of their dreams so why not share some of that luck with the guests? Adding some ‘just for fun’ blackjack and roulette tables allows guests time away from the dance floor where they can try their luck. A nice twist on this theme might be to create some small gifts or prizes that the winners can take home at the end of the night. A waiter’s main job is to ensure that all the guests are fed and watered, but some staff can offer so much more than simply re-filling drinks glasses. Catering by a company that offers singing waiters is a great idea, providing your guests with unexpected but very memorable moments of pure musical theatre. Memories of your wedding are captured in the photos you and your guests take. That said, not every guest will have the honour of joining your wedding album. A photo booth allows your guests to get together, make some new friends, and take some silly pictures that they can laugh about together. Add a dressing up box to the mix to make for some extra special photos? Your guests will be in for a shock when the all too lifelike hedges in the Riverside Marquee’s garden suddenly begin to walk, talk, and serve drinks! The hedges are actually actors in costume and will add a shock factor to your wedding that you can be sure hasn’t been seen by your guests before. One of the best ways to keep kids quiet is to keep them entertained. Thankfully, children are usually easy to engage when it comes to bouncy castles and soft play areas. The Riverside Marquee has access to over 16 acres of land for you to utilise, giving you space to include any additional extras such as bouncy castles or even ball pits! If you want your children to be part of your ceremony but don’t know how to include them, why not give our ‘Wedding Questions’ blog a read? If the weather is good, then getting outside in the fresh air is something everyone will enjoy. Adding in some giant garden games adds a little light hearted sport to your wedding and gives everyone a reason to enjoy the scenery. Choose from larger versions of favourites such as jenga, chess, and connect 4,or quaint English classics such as quoits, cricket and croquet. At The Riverside Marquee, we cater to whatever entertainment you decide is perfect for your wedding, we have a space specifically for a band to play, a huge manicured lawn, riverfront access and much more. 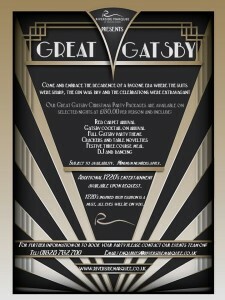 To discuss wedding reception entertainment, please call us on 01628 762700 or use our enquiry form. When designing your dream wedding, one of the most important things to keep in mind is your colour scheme. 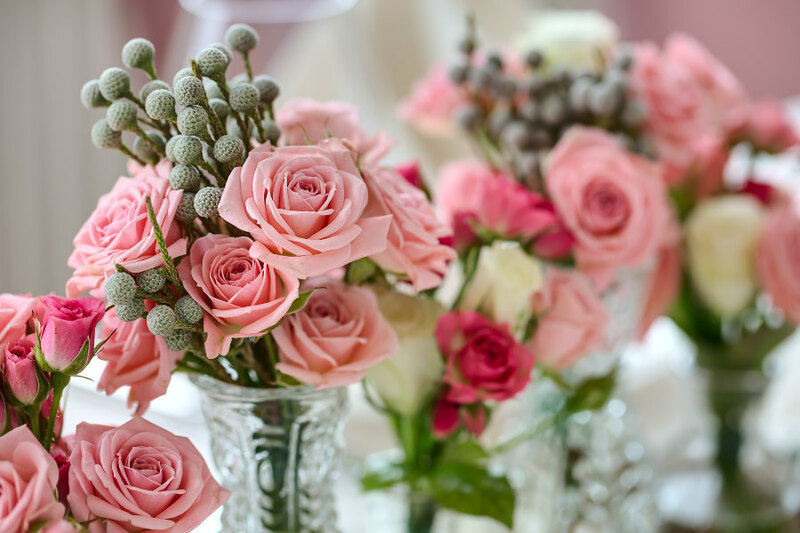 The colour of your flowers, table decorations, lighting and wedding outfits all work together to convey the emotions of your special day. With so many colours to choose from, the task of settling for just one or two can sometimes seem daunting. 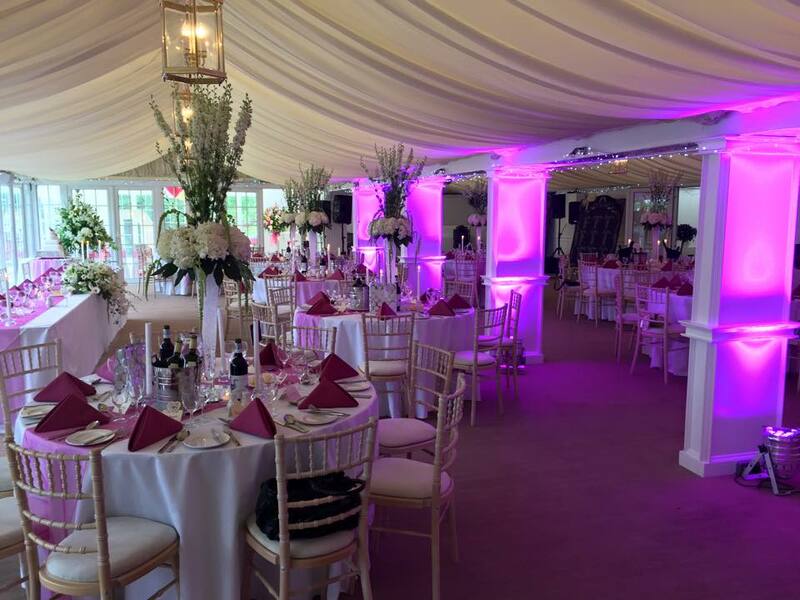 Here’s the Riverside Marquee guide to choosing your wedding colour scheme to help create the right mood for your wedding ceremony and reception. White is the classic wedding look. 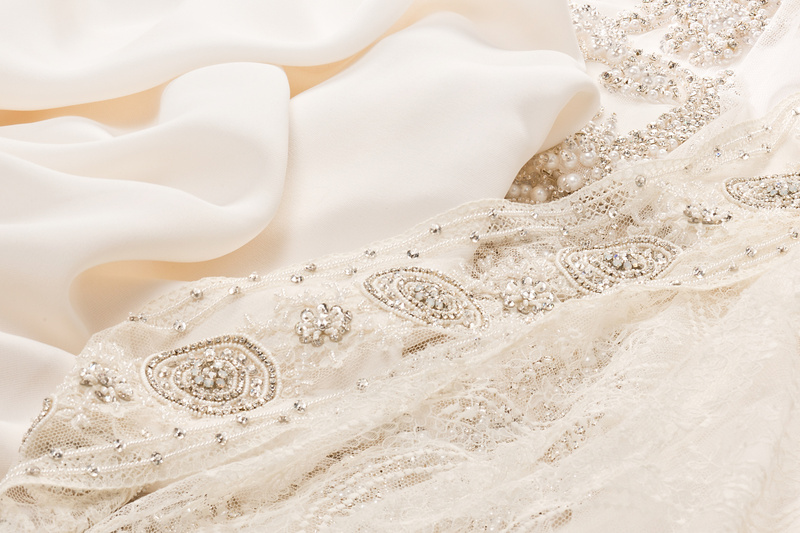 Traditional white radiates the beauty of the bride and shows the world that this is a new start to her life. White allow you to independently shine, whilst remaining understated and elegant. 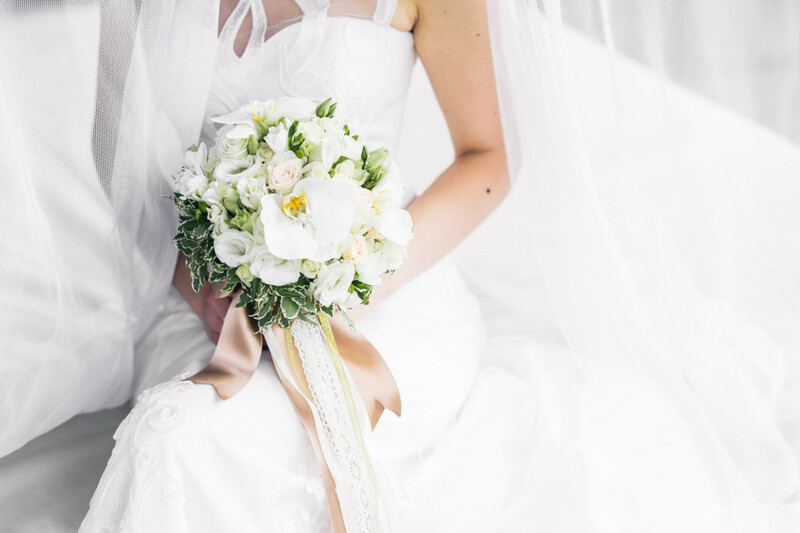 Ivory is a softer white and a popular choice for a wedding dress as it is flattering to most skin tones. Like white, it radiates a calm demeanour but is a lot warmer and softer than a pure white. Red is the colour of fire and passion and is always exciting to see. It portrays you as a confident partnership and demonstrates your enthusiasm for a new chapter in your life. This colour is sure to demonstrate your energy and love for life. Yellow is the colour of happiness so your wedding guests can’t help but smile when they open the doors to your wedding and feel the warmth it radiates. Yellow brings a sense of creativity and is always an exciting pairing with other colours. 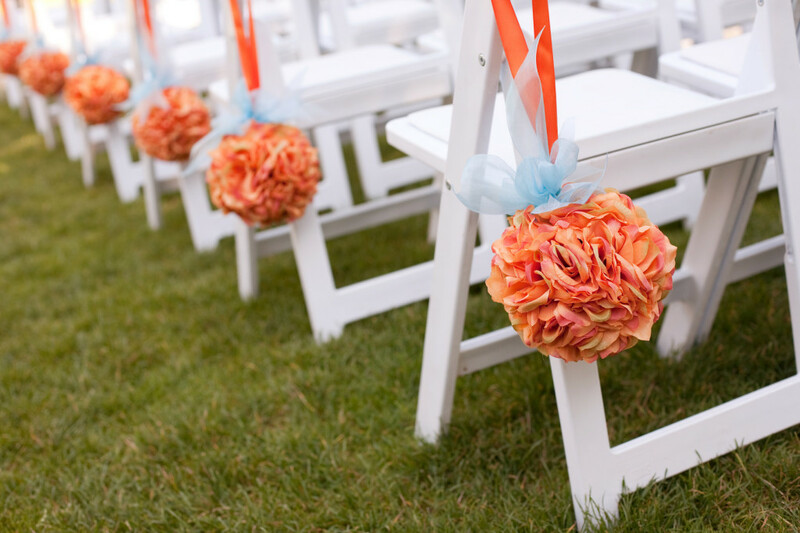 Orange is a colour that ensures your wedding guests understand that you want them to have fun whilst they take part in the greatest day of your life. This warm and happy colour is sure to keep your guests chatting away and enjoying the social atmosphere it creates. 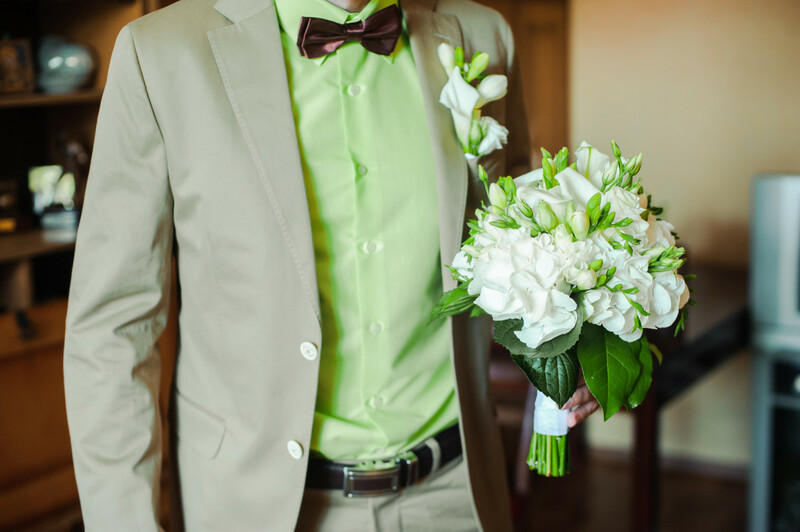 Green is the colour of unity and always evokes a peaceful environment that your wedding goers are sure to love. Although it is a choice that many people overlook, green is the colour that gives your wedding the final touch and brings everything together for your special day. Loved by many people around the world for the calmness that it radiates, blue evokes trust and devotion which is why it is the perfect colour for a small ceremony surrounded by friends and family. Navy blue is also a fantastic alternative to a black suit, as it is softer and a fantastic match with softer whites such as ivory and eggshell. 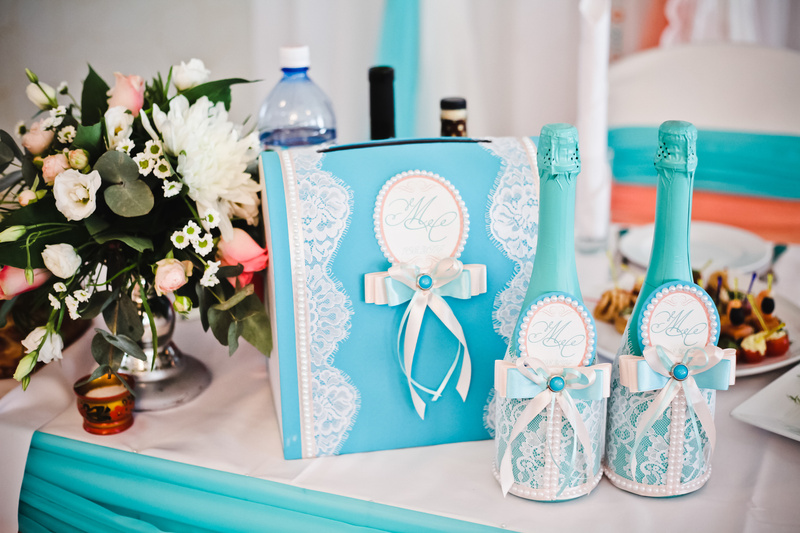 Turquoise is a refreshing take on the standard blue variations and brings an harmonious balance between the masculine and feminine coming together in the wedding ceremony. As well as a sense of balance, turquoise also emits a friendly and happy mood that is sure to put some smiles on the faces of your guests. Pink is a fantastic colour for portraying the same message as the colour red but with a softer tone that blends better with other colours. Pink is an exceptionally positive colour and portrays a strength and sophistication. When blended with darker colours such as navy blue, grey and darker greens you can achieve some stunning schemes that set your wedding off beautifully. Silver is a dignified and elegant alternative to a dull grey. An understated colour of luxury, silver shows your creative and imaginative side as it reflects the emotions of the colours it is paired with. At the Riverside Marquee we make it our mission to ensure that your wedding day is as perfect as you always imagined it to be. We always work to ensure your colour scheme tells the story of your wedding in the most amazing way. 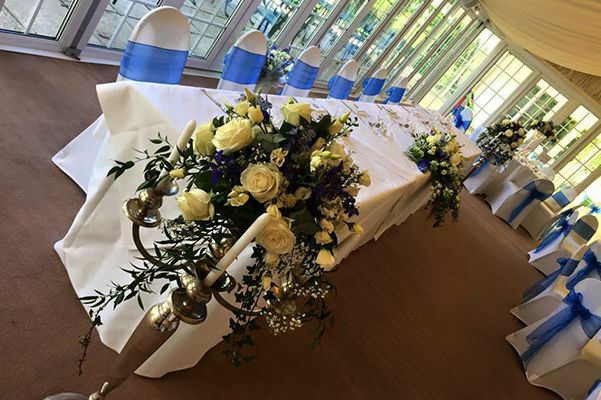 If you would like to enquire about The Riverside Marquee for your wedding, or any other occasion, then please feel free to give us a call on 01628 762700 or use our contact form. 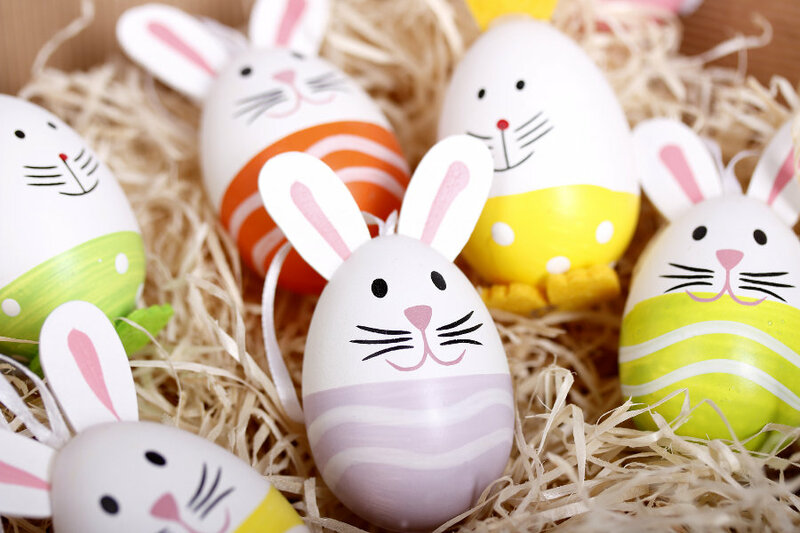 We are very excited to announce that we will be hosting Bray’s Easter Eggstravaganza on Saturday 26th March. 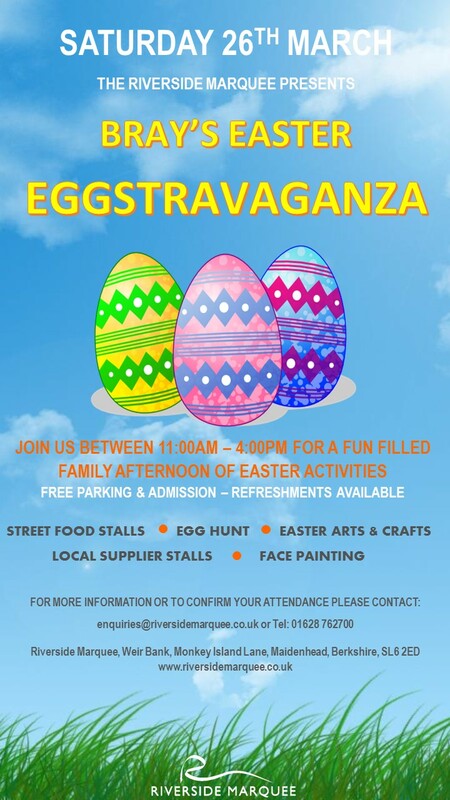 We are offering a fun packed afternoon of Easter activities for the little ones, delicious street food stalls and refreshments. 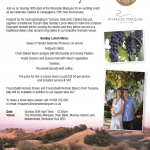 A great way to kick off the Easter weekend with all the family. We hope you can make it. After the excitement of the run up to Christmas, the early months of the New Year can be a quiet time for everyone in the office with the Winter blues taking a hold on your team’s mood. Sometimes all the office needs is a day to look forward to where everyone can take their mind off work and really focus on enjoying themselves. 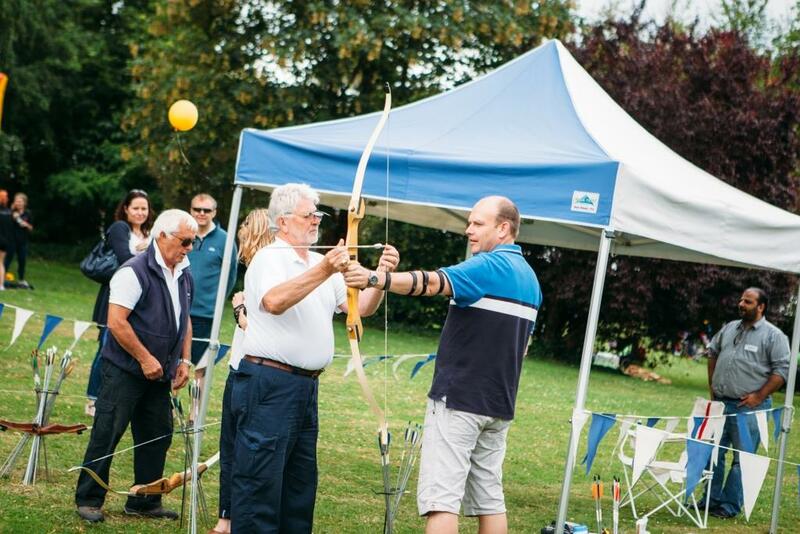 This is where the Riverside Marquee has exactly what you need to host some fabulous and fun team building activities that will place the spring back in everyone’s step. Our fantastic marquee is set in 15 acres of stunning landscaped gardens situated right next to the River Thames at Bray. 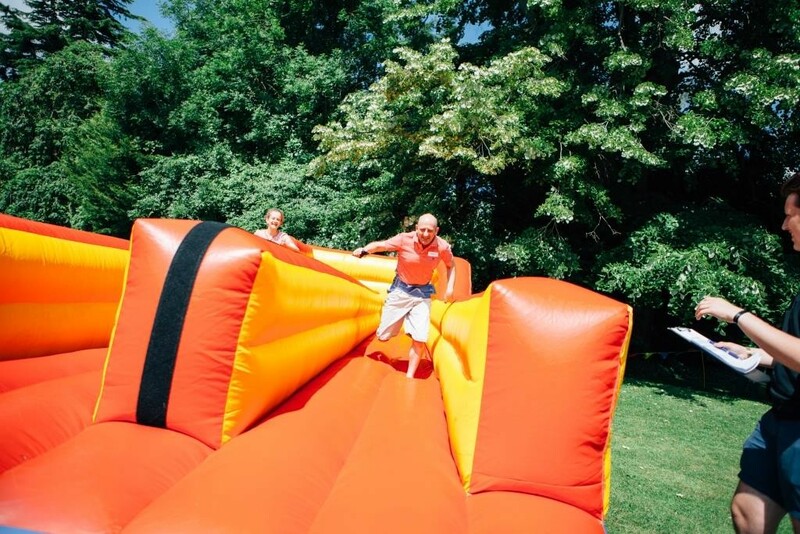 This allows us to host a whole load of team building events guaranteed to put the smile back on the face of everyone in your office. 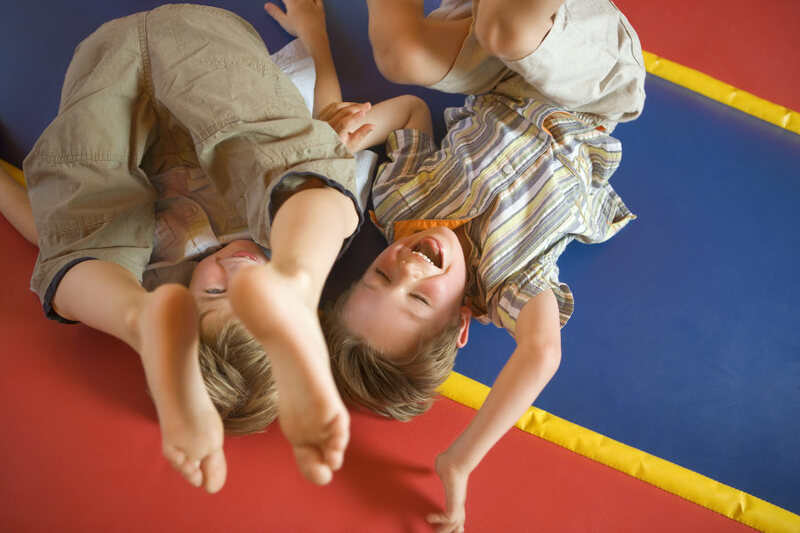 Everyone is talking about how much fun this bouncy sport is. The concept is simple – each member of the two teams wear a bouncy protective ball around their body before launching into a game of football. The catch is that there really aren’t any rules. 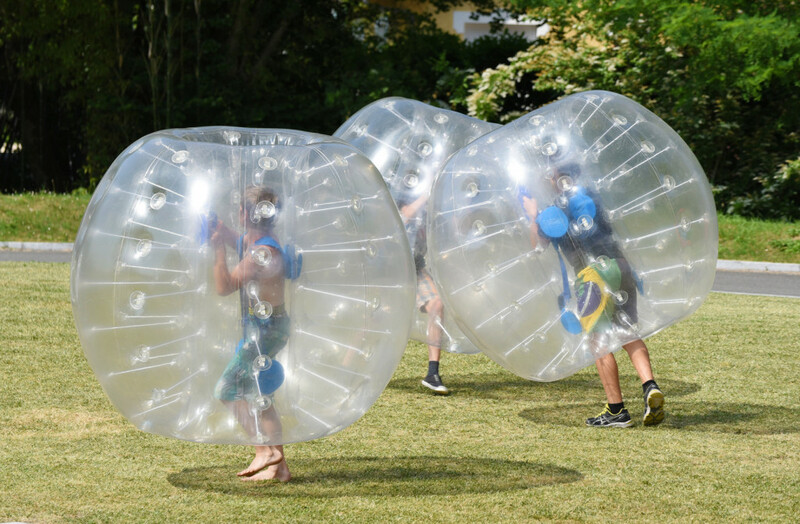 With the protective plastic bubble ball surrounding the players, you can bash into each other as much as you wish! This is sure to get some smiles back in the workplace as you try to tackle the opposition, or show off your Lionel Messi skills. 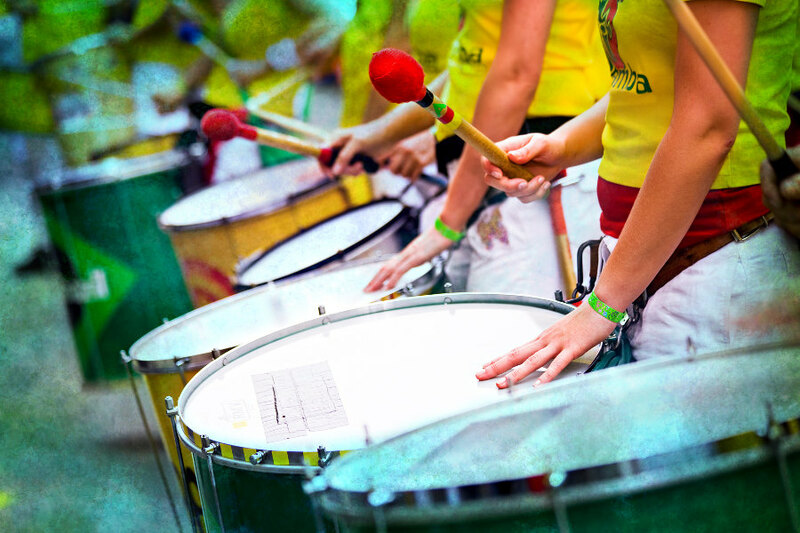 Nothing gets the blood pumping more than the sound of passionate samba drumming. 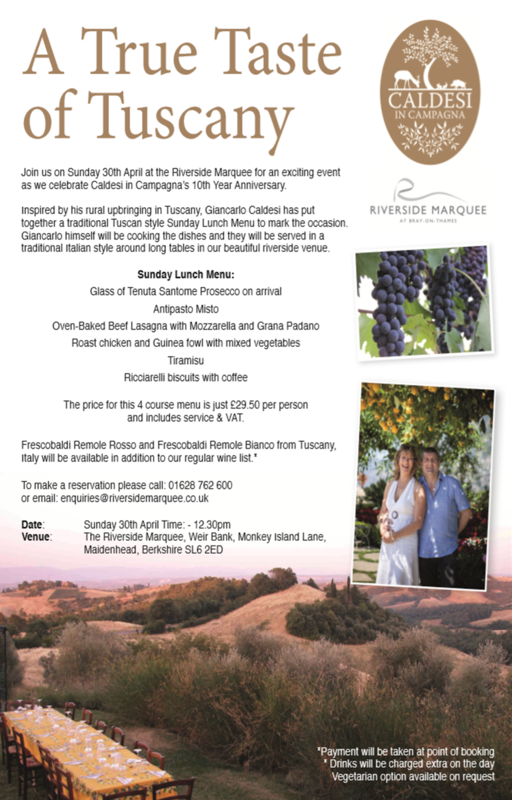 This truly is one of the most remarkable events that we run here at the Riverside Marquee. The music will inspire everyone to get involved and pick up an instrument, it may even get a few people dancing! This is perfect for injecting some excitement into your days! 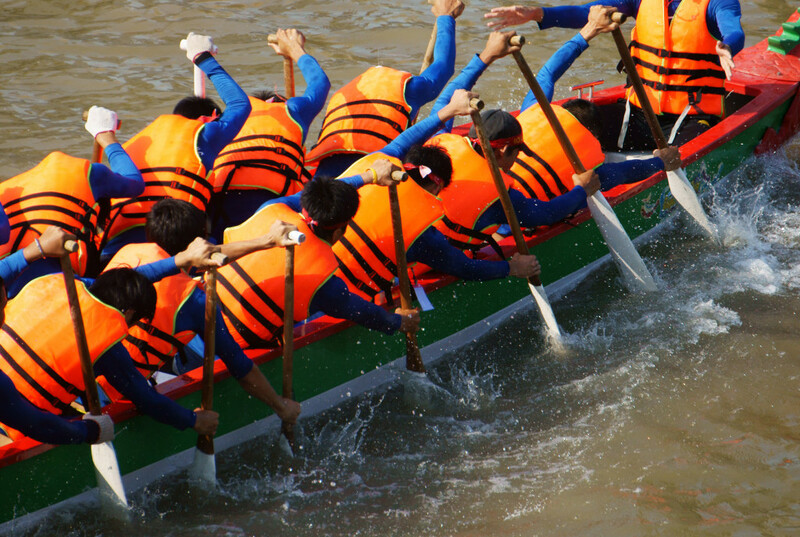 The dragon boat race is a traditional Chinese race that involves eight people racing in purpose built boats with dragons at the helm. This event is a real team effort, with everyone giving it their all to try and reach the goal first. 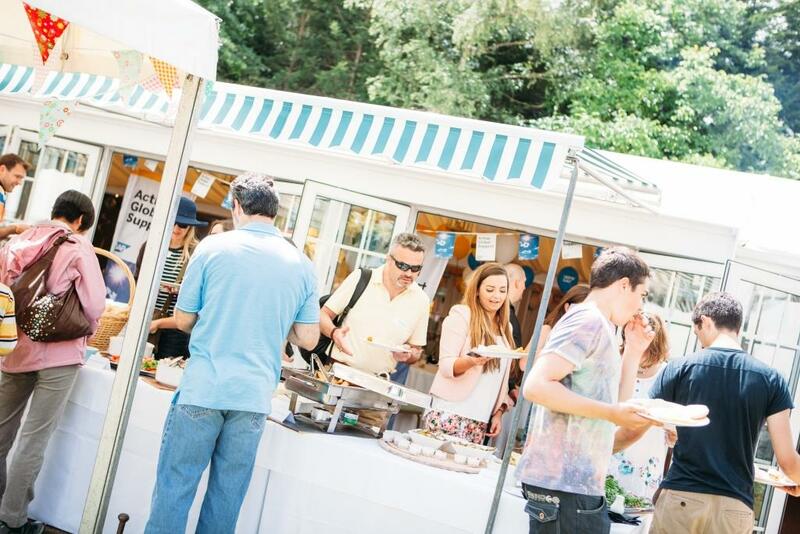 With the Riverside Marquee being right next to the River Thames there’s no need for you to have to worry about outsourcing your event planning to a range of companies. Our facilities and on-site catering ensures that your team building days run as smoothly as possible. Why not separate the teams into your businesses internal structure? That could make for some fierce office competition and help your group work better together in the workplace! Slow breath. Tightened string. Bow raised. Bullseye! Archery is one of the oldest forms of weaponry that is still used today, and it is a fantastic way of injecting some healthy competition into your team. There is something extremely satisfying about taking your time and nailing the centre of the target. You can really get a feel for Medieval England, as you take in the sights and smells before declaring yourself the best shot in the office. These two are a bit of fun for the big kids. Bouncing on air is just as much fun as it sounds! If kids enjoy it, why can’t you? The bungee run consists of you being in a harness that is attached with a bungee cord to a bouncy castle. The aim is simple, try to make it to the end of the run and press the button. The bungee run is great for mixing competition with light hearted fun and the bouncy castle will install some childishness into your day. These are just a select few of the many team building days that we offer. If you are interested in getting a smile back in your office, or want to instill some teamwork back into your colleagues, then please feel free to give us a call on 01628 762700 to arrange a viewing. 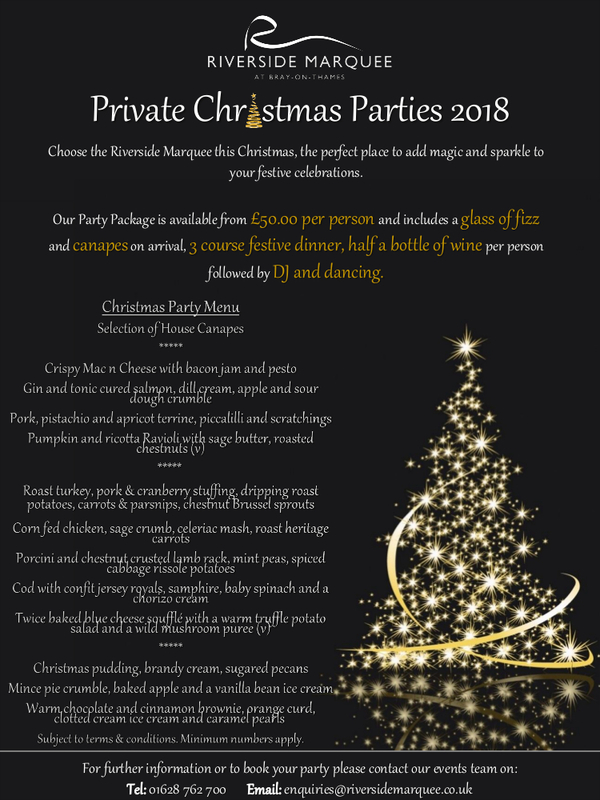 The Riverside Marquee provides an elegant and exclusive setting for any special occasion, whether it's a wedding, a party or private function, or a corporate event.